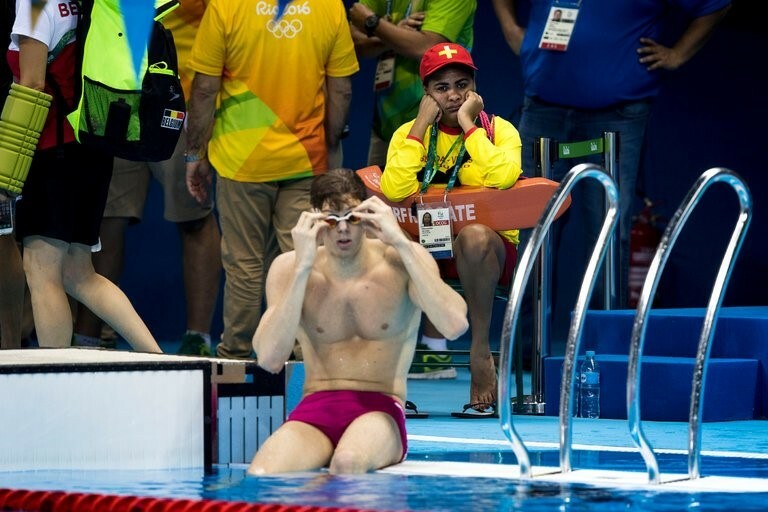 While it may appear as redundant as this lifeguard at the Rio Olympics, we felt we should review the make-up of the Dow Jones Industrial Average (DJIA). The DJIA is a price-weighted average of 30 stocks. That is correct, just 30 stocks. Being price-weighted, the higher the price the larger the weighting. As you will see below, Boeing has the largest weighting as it is the highest priced stock. In fact, 34% of the DJIA is the top five stocks and 56% is only the top 10 stocks. These stocks will change over time and according to Investopedia, the components have changed a total of 51 times. 2018 has given us very descriptive headlines from the nightly news as well as in print. 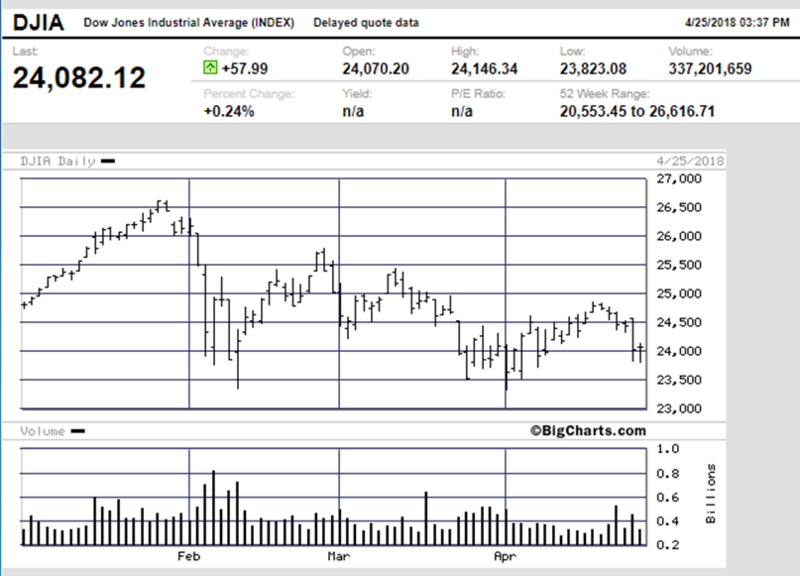 “Market sells off 300 points,” “Dow Plunges 500.” As of April 25, 2018 (intraday) the DJIA stood at 24,082. Let’s look at what that really means. A “sell off” of 300 points was only a 1.2% move and the “500-point plunge” was a 2% drop. Without trying to sound flippant, the news delivers the drop as a point movement rather than a percentage. Three hundred points sounds far worse than 1.2%; all perception. Further, the “market” they talk about is only the 30 stocks listed below. 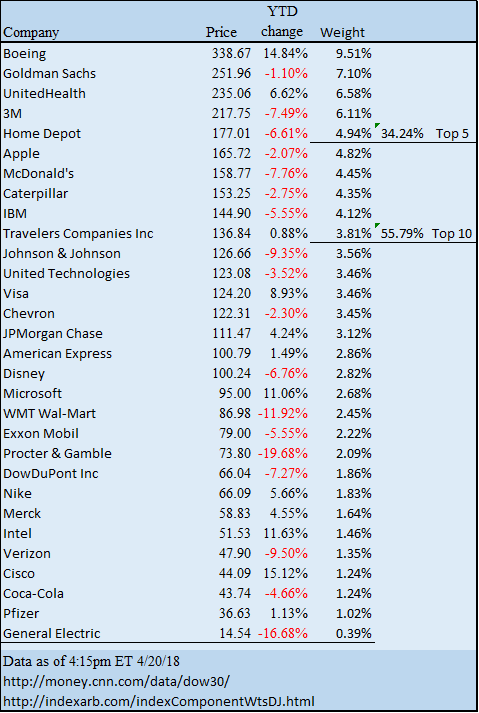 If you look at what the performance is year-to-date as well as the company weightings, you can see, there could be a select group of the stocks that may move the Dow. The talking heads will continue to find the culprit for each down day, the truth is, the market is fluid. There is a constant flow of information. Volatility this year has been spurred by the Fed tightening, trade war talks as well as political tensions. The DJIA current score is 12 companies positive and 18 negative, year-to-date. The top 10 stocks in the average comprise almost 56% of the total and they stand at three winners and seven losers. The chart shows us a few more things, the market likes Boeing, banking and healthcare stocks…currently. But, Mr. Market changes and that is why we diversify. There has been a lot of talk about the 10-year Treasury hitting 3.00%. 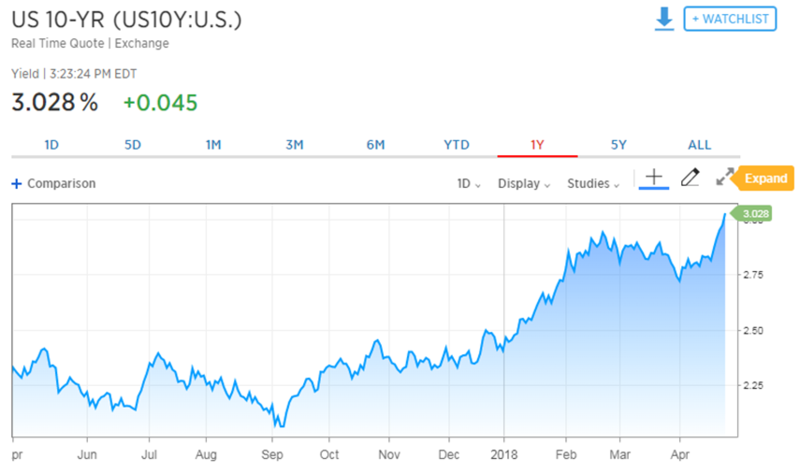 The last time the 10-year Treasury hit the 3.00% yield number was in 2013 and investors are beginning to digest that number. 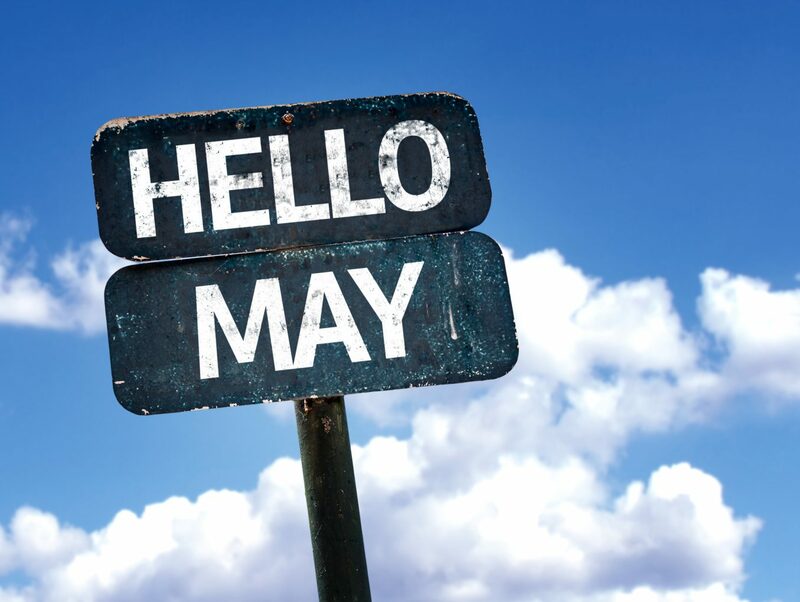 The market reacted poorly back in February when we ran toward 3.00%, but this time the selloff in the markets had more to do with rising costs and lack of leadership in the market rather than the jump to three. Caterpillar posted great earnings and a sales increase of 31% as the world economies continue build and mine. Although the numbers were great they did warn of higher cost in input prices, mainly steel. We anticipate a few more moves by the Fed this year so the curve will flatten out more as the short term rate starts to equal the longer term rate. Because the Fed is stepping away from interest rate engineering, the natural forces of the market are taking hold. Overall I do not believe that rates at this level are a bad thing, finally some opportunities for bond buyers. Thank you for taking this journey down redundancy lane. Dimensional Funds came up with a great formula: E + R = O (Event + Response = Outcome). Simply put, this says your outcome (positive or negative) is a result of how you respond to the event, not just the event itself. The year is young and we anticipate many more events, both near and far. We took this journey to reinforce that advice and planning, with a sound investment philosophy, can certainly help your probability of a successful financial outcome. Current trends: Trends are current, so adding current, is redundant. Suddenly exploded: Explosion are immediate; it can’t be more sudden than that. Plan ahead: When you plan you prepare for the future, no need to use ahead. * Past performance is not a guarantee of future results. Indices are not available for direct investment. Index performance does not reflect the expenses associated with the management of an actual portfolio. The S&P data are provided by Standard & Poor’s Index Services Group. The S&P 500 Index is a free-float market capitalization weighted index of 500 of the largest US companies. This index is calculated on a total return basis with dividends reinvested and is not available for direct investment. 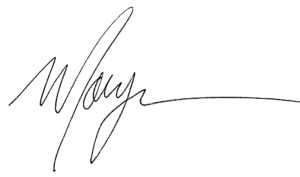 Treasury securities are negotiable debt issued by the United States Department of the Treasury. They are backed by the government’s full faith and credit and are exempt from state and local taxes. The indices are not available for direct investment; therefore, their performance does not reflect the expenses associated with the management of an actual portfolio. Past performance is no guarantee of future results, and there is always the risk that an investor may lose money. Diversification neither assures a profit nor guarantees against loss in a declining market. The information contained herein is based on internal research derived from various sources and does not purport to be statements of all material facts relating to the securities mentioned. The information contained herein, while not guaranteed as to the accuracy or completeness, has been obtained from sources we believe to be reliable. Opinions expressed herein are subject to change without notice.